Heavy rain (toplam 25.0mm), heaviest Pzt gecesi boyunca. Freeze-thaw conditions (en fazla 7°C Cmt akşamı, en az 0°C Cmt sabahı). Wind will be generally light. Heavy rain (toplam 220.0mm), heaviest Per gecesi boyunca. Mild temperatures (en fazla 8°C Çar gecesi, en az 4°C Sal sabahı). Wind will be generally light. Yukarıdaki tablo Zermatt merkezi 1619 m yüksekliği için hava tahmini vermektedir. Gelişmiş hava modellerimiz sayesinde Zermatt merkezin üst, orta ve alt kayak istasyonu için kar tahmini sağlamaktayız. Diğer yüksekliklerin hava tahminlerine erişmek için, tablonun üzerindeki sekme gezintisini kullanın. Hava durumunu tamamen görüntelemek için, Switzerland ülkenin Hava Haritasına bakın. 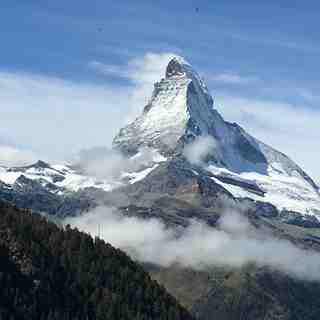 I visit Zermatt at least four or five times each winter for at least a week each time. In the last five years I have always been able to ski great powder snow every time I have been out. It is one of the most snow sure resorts anywhere in the world and with the linked resorts of Cervinia, Vatlournenche and into the Monte Rosa areas, you have some of the most varied skiing anywhere. Zermatt offers a huge choice of accommodation across ALL budget ranges and has plenty of one, two and three star hotels and of course four and five star hotels. The resort is easily reached form Geneva or Zurich airports by train and you can be on the slopes for an afternoon skiing on your first day if you travel independently. The Matterhorn Ski Weeks offer one of the best packages you can get anywhere and their Top Class off-piste with a guide is astonishingly good value. For the last few years the powder skiing has been truly fantastic and in the ski weeks, we have skied just about everywhere you can see with a guide. The lift system is one of the most efficient anywhere and to go from resort to top lift stations takes less time than in other resorts that do not offer the same vertical height from resort to top lift station. After all - you are ascending over 2,200metre of vertical! The skiing, over on the Italian side, is quite different, but huge fun and offers some challenging off-piste runs as well as the longest pisted run in Europe. The golden rule is "go straight over to Italy first thing in the morning and every day when the weather allows". There are three or more of the best restaurants in the area, on the Italian side; worth the effort to get there but book ahead to be sure of a table. Hotels also offer their own ski week packages, which usually include lift pass and ski hire, and are often better value than chalet companies offerings. Book direct with hotels and be treated as a valued guest with great food and accommodation. Pricey ? It certainly does not have to be. Crowded ? Not if you are at the bottom lift stations early. If you go late, it may well be crowded in high season. 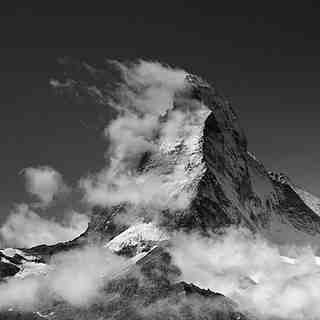 Zermatt = the best skiing you will get anywhere in the world! Aşağıdaki Zermatt için kayak hava durumu eklentisi dış web sitelerine ücretsiz olarak gömülebilir. Günlük Zermatt hava durumu özeti ve güncel hava şartlarını sağlamaktadır. Sadece yapılandırma sayfasına gidin ve özel html kod parçacığını kopyalamak ve kendi sitenize yapıştırmak için 3 basit adımları izleyin. Kar tahmini yüksekliği (zirve, orta-dağ veya alt lift) ve kendi web sitenize uygun kar beklentisi metrik / emperyal birimlerini feedini seçebilirsiniz: Şifreyi almak için buraya tıklayın.